Stage 7: A long day beginning with crossing of Tanggye Khola and then long steady climb to Paha and then follows a fantastic trail along an exposed ridge top. On this day some of the oddly eroded mountainsides look straight out of Gaudí’s imagination. Worth taking time to peer over the south-east edge of the ridge’s latter sections. 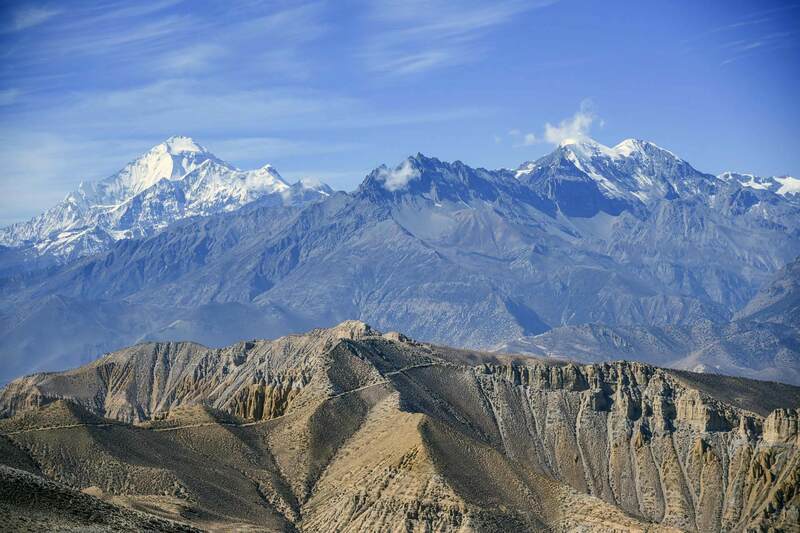 Dhaulagiri (‘white mountain’) and Nilgiri (‘blue mountain’) dominate the horizon as seen below. 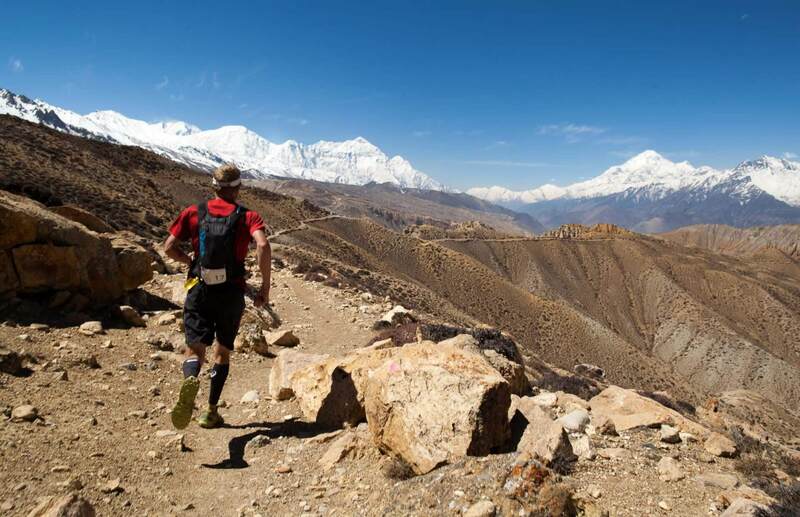 At the end of long ridge-top running, there is a dramatic 800m drop toward the oases of Chuksang and Tetang. Stage Profile! The first part of the race is on newly made jeep tracks - less wonderful, but fast and steady after the first short climb. We leave the track for a while after the checkpoint, climbing on some shepard's trails, before dropping down past Tangbe (photographed).